On May 18, 2017, the Hudson City Police Department and the New York State Police arrested 19 year old, Matthew Sackett of Hudson, New York on Arson 3rd Degree, a class C Felony and Arson 4th Degree, a class E Felony. 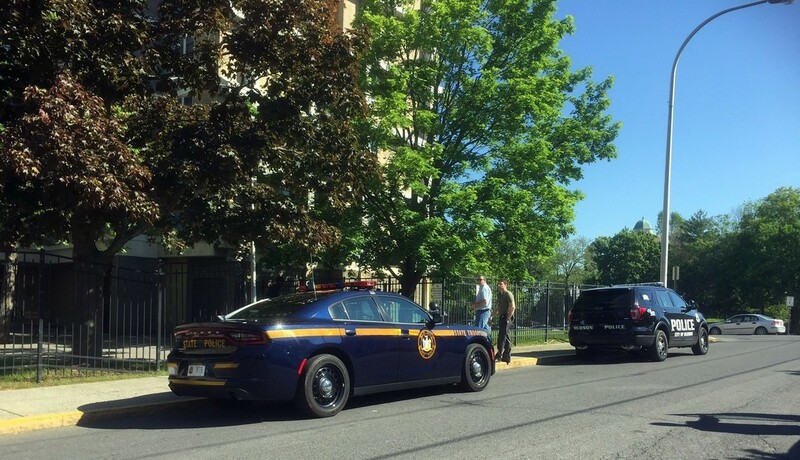 On May 18, 2017, 9:35 am, the City of Hudson Police Department and New York State Police arrested Matthew Sackett at his residence located at Bliss Towers within the City of Hudson. Matthew Sackett had two outstanding Felony Arrest Warrants. One Warrant was out of the City of Hudson Court for Arson 3rd Degree and the second Arrest Warrant was out of the Town of Livingston for Arson 4th Degree. The Hudson Police Department for the past several months have been investigating over a dozen separate burglaries and the Arson/burglary of the Kite’s Nest building located at 57 North Front St. Hudson, New York. The fire, which occurred on January 18th, 2017, destroyed the entire building. Over 100 firefighters from 5 departments fought the blaze. The building ultimately had to be demolished. The building was appraised at $425,000 dollars. During the course of the burglary and arson investigations it was discovered that Matthew Sackett and four juveniles (ages 10-15 years of age) went inside the building and intentionally started a fire. HPD and the State Police have been in contact with the County Attorney’s Office regarding the conduct of the juveniles. The joint investigation has identified the juveniles who were involved in the Hudson arson and burglaries, as well as one juvenile involved in the Livingston fire. Matthew Sackett was previously, on March 16, 2017, arrested for two counts of Burglary and was released on bail. These burglaries had occurred at the current Kite’s Nest location on 108 South Front Street. Burglaries occurred March 2, 2017, damaging the inside of the building. The other burglary was on March 15, 2017 where entry was made by breaking a window, and cameras were stolen. This is still an active investigation involving numerous other burglaries within the City of Hudson, with more arrests pending. 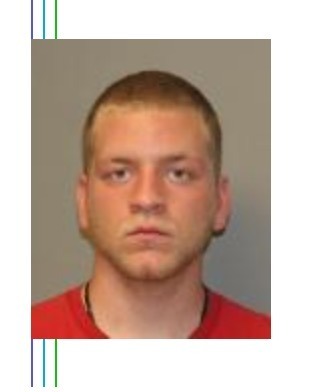 While he was out on bail, Matthew Sackett did reportedly commit a 2nd Arson in the Town of Livingston. The State Police conducted that investigation. On April 20, 2017 at approximately 12:10 am The New York State Police at Livingston responded to a report of a fire on State Route 9 in the Town of Livingston. Columbia County 911 dispatched the Livingston Fire District, under the command of Chief Paul Jahns, to the scene of the fully involved barn fire. 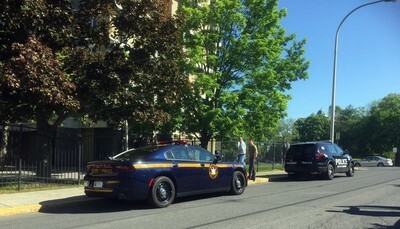 The New York State Police in conjunction with the Columbia County Fire Coordinators Office and the Livingston Fire District investigated the fire and deemed it suspicious. On April 21st a plea to the public through local media requested assistance from any witnesses in the area. This public request lead to numerous leads. 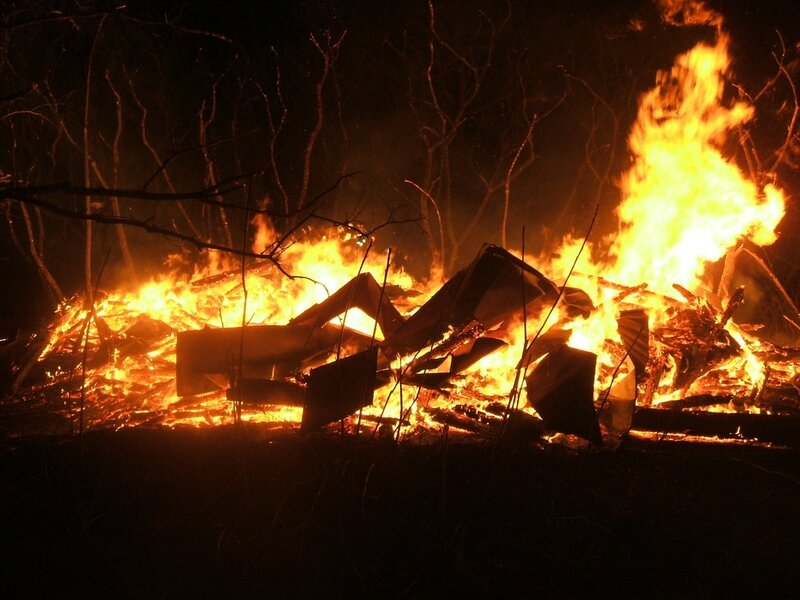 Partnered with the Hudson Police Department, the State Police continued an investigation which indicated that Sackett had started the fire that completely consumed the vacant barn. Matthew Sackett was arraigned in front of Judge Robert Moore at the Town of Livingston Court house. He was arraigned on both felony charges. He was remanded to the Columbia County Jail and issued No Bail. Matthew Sackett is due back to Court on May 25, 2017. The Columbia County District Attorney Paul Czajka, New York State Police, New York State Office of Fire Prevention and Control ,Columbia County Fire Coordinator’s Office City of Hudson Fire Department, Assistant County Attorney Christopher Muller, all assisted with the above investigation.